Welcome back to “A Reconsideration!” For those of you unfamiliar with this feature, it’s where I will watch a film I may have not liked or fully loved before and see if I changed my opinion on it. Basically, I’ll be reevaluating movies. Click this link for my original review but I’ll reiterate some key statements. 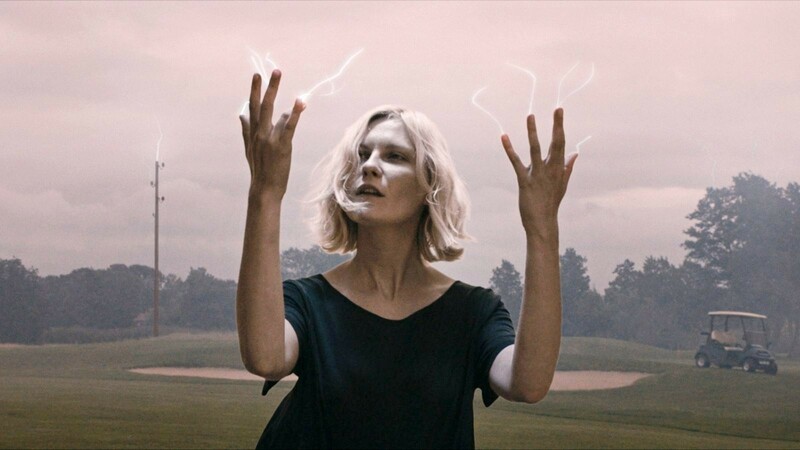 I was amazed by the film’s visuals and performances by the actors, but ultimately was put off by Lars Von Trier’s gloomy, somewhat cynical message. I mentioned in my review that I wanted to see the film a subsequent time to see if I would like it more. I read plenty of positive reviews from fellow bloggers, plus I felt like I was missing something. Somewhat surprising, I had the exact same reaction after seeing Melancholia again. I didn’t hate the movie and found it entertaining (though the handheld shots at the beginning were somewhat distracting), but never fell in love with the picture. I admired the craftsmanship, but ultimately was left a bit cold. New: ***, though I feel this is a *** 1/2 star film technically speaking. « When Did You Become Interested In Film? “I admired the craftsmanship, but ultimately was left a bit cold.” That was precisely how I felt about it. I could do with watching it again at some point though, too. Thanks for the comment. I feel it’s a really well made movie but I couldn’t connect to the characters. I couldn’t agree more. There were things I really loved about the movie but there were other moments that felt like an entirely different movie. And I always felt the movie had me at an arm’s length away. Glad you agree. I really loved some scenes, particularly the opening, but found the movie off-putting, though I enjoyed it more than some of Von Trier’s other films. What a terrible movie. I hope I never have to see it again. I loved parts of it, but it didn’t do much for me. This film represents everything that’s great and not so great about Von Trier. Still, it has a way of staying with you. Top reappraisal. Thanks! Yeah, Von Trier’s movies have strong lasting power and I love his imagery, but I never get into his films too much. Looks like we have pretty much exactly the same opinion on this one! Glad you agree. There were elements I liked but I couldn’t get into the film. I remember I started watching it, then I was interrupted by something, and then just never had the urge to go back to it. I never really got fully into the film as well. I really liked some parts but found others off-putting. Yes, I agree whole-heartedly. Depressing and cold but fantastic journey. I wonder if a third time might reveal some hidden truth, perhaps in five years? Thanks for the comment. Glad you agree. I think I might let some more time go by before I see it again. I really liked some parts, but found the movie too dark for my liking. I have not seen this but my brother did and he was not a big fan. Also it has Dunst in it. Thanks for the comment. It’s an interesting movie, even though I never fully loved it.